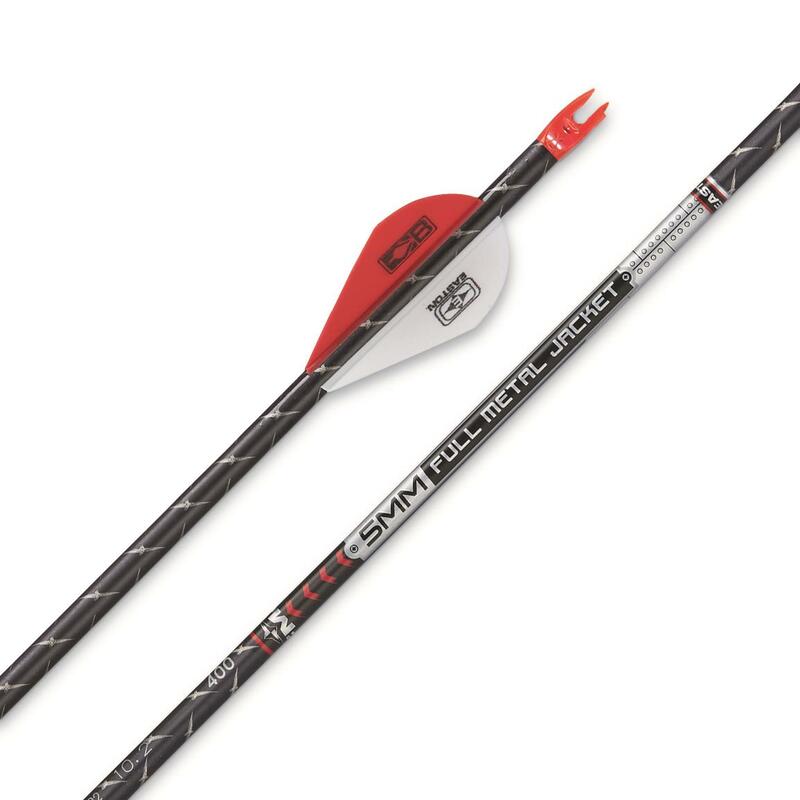 Designed with a 5MM carbon core and XX75 outer shell, the Easton 5MM Full Metal Jacket Arrow offers hard-hitting speed and deep penetration that will drop big game in its tracks. Each Arrow comes pre-installed with 5MM (X) HIT Insert and X nock. Easton 5MM Full Metal Jacket Arrows, 6 Pack is rated 5.0 out of 5 by 1. Rated 5 out of 5 by PABIRK from Bear Killers I've used these arrows before in Ontario and Wisconsin for black bear. I get pass thru shots and the arrows are very much reusable!